There are a thousand reasons to come to Milwaukee. The Miller Brew Tour. The Milwaukee Art Museum. The Elegant Farmer. And let’s not forget, SummerFest. 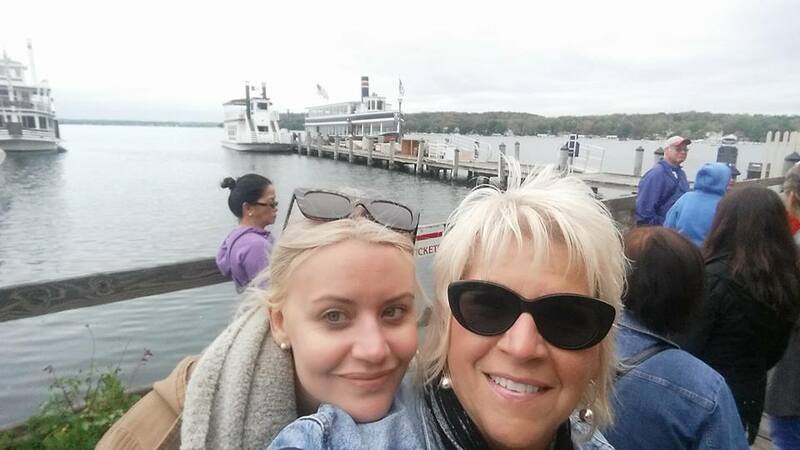 But the one reason I love to visit there is my dear friend, Mary Ochowicz. You could say she’s my sister from another mister. LOL. I’ve known Mary since biking in Ragbrai(a bike race across the state of Iowa) and we have remained close friends ever since. Mary has lived in Wisconsin her whole life so she played my tour guide when I paid her a visit recently on Great Lake Michigan. The Elegant Farmer is also a MUST when visiting Wisconsin. It is located just outside Milwaukee and seasonally, it has the BEST APPLE PIE in the world. It is baked inside a bag and the flavors are out of this world! 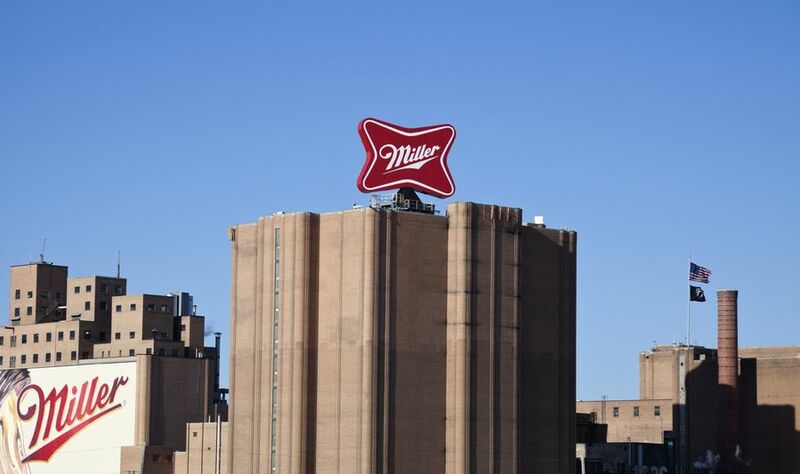 I’m not that big of a beer drinker but I felt I had to pay my respects to the Miller Brewing Co when visiting Milwaukee. You could say they are one of the founding fathers of our beer constitution. Mary took me on a guided tour (it’s free daily btw) and learned a ton about the history of Miller, how the beer is made, and the empire it has grown into today. At the end of the tour, you get to taste a few beers and leave with a fun little buzz. Beware: Drink Responsibly. I say this only because I think Mary had a few too many and ended up talking my ear off. LOL. Considering our beer buzz was alive and kicking, we decided to get inspired and roam through the majestic art filled walls of The Calatrava. 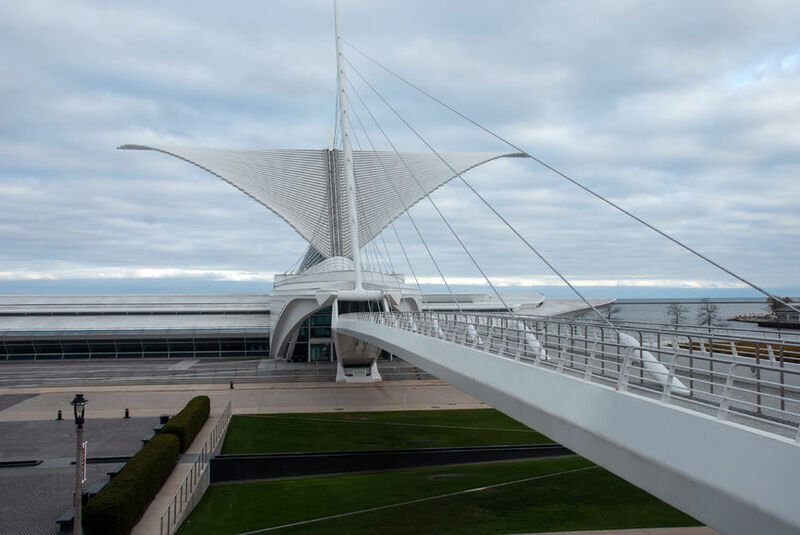 One of the largest museums in the U.S., this grand structure stands tall on the shores of Lake Michigan and is filled with everything from German Expressionism to American Art after 1960. This place also holds one of the largest collections by Georgia O. Keefe, one of the greatest artists ever. One of Mary’s personal favorites, she is known for her landscape paintings along with her flower paintings. Mary couldn’t shut up about her! Definitely a hot spot to check out. What a better way to celebrate those hot summer nights than with live music on the shores of Lake Michigan. SummerFest is held every year in late June/ early July in Milwaukee. There are 12 stages in total, with one main stage. The best part? You buy one ticket to get into the grounds and you can go to almost every stage for FREE (not including the main stage). How amazing is that? There’s something great for everyone. Check out all the different ticket options here. The Pfister Hotel - ($280 a night)- dating back to 1893, this hotel is an opulent, Victorian style hotel. The Iron Horse Hotel - ($400 a night) - 100 year old hotel that used to be a former factory. Kimpton Journeyman Hotel - ($199 a night) - located in the historic and trendy 3rd ward district, an easy stroll to anywhere in downtown. Hotel Metro - ($160 a night)- this hotel occupies a cool, art-deco building from the 1930s.